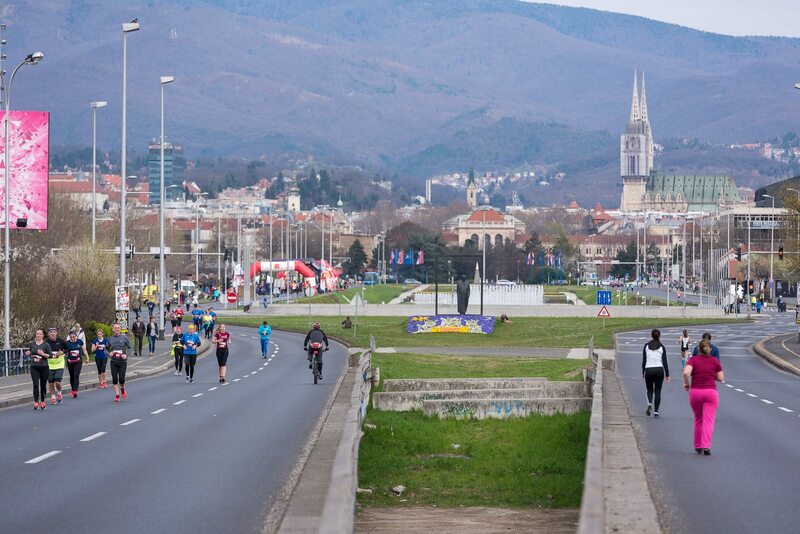 Springtime in Zagreb is impressive – everything gets green, the weather is nice and sunny, but not too warm, and there is a lot of upcoming events. 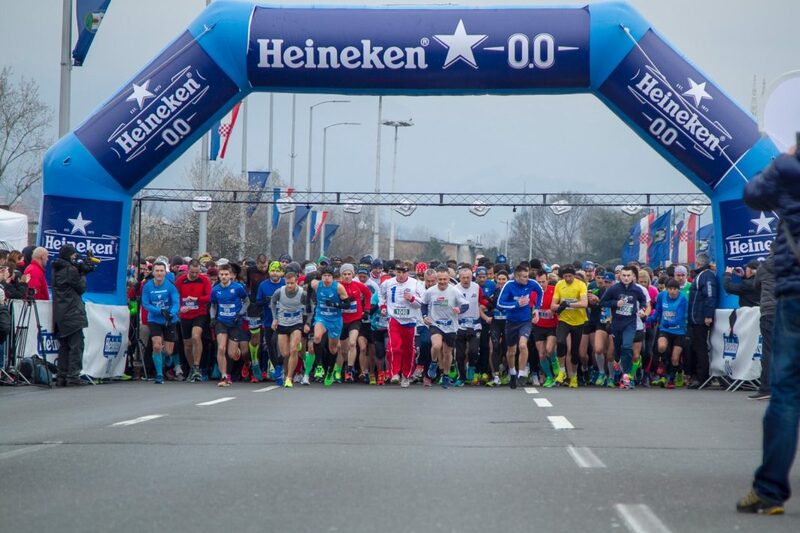 And yes – there is ZAGREB21 – powered by Heineken 0.0, a half marathon in the Croatian capital. Next edition is close, it will be on Sunday, March 17th, 2019, at 9 am. The trademark of this race is a great atmosphere. The course is flat and fast, and that combined with optimal March weather conditions makes an ideal opportunity to crush your personal best. And after you do so, you can explore the beautiful city of Zagreb. This race is completely different than the half marathon in fall. While that one goes in the old part of ►Zagreb, this one goes over the Sava River to New Zagreb, by the Museum of Contemporary Art, National Library, near Hendrix Bridge and famous color-changing fountains. 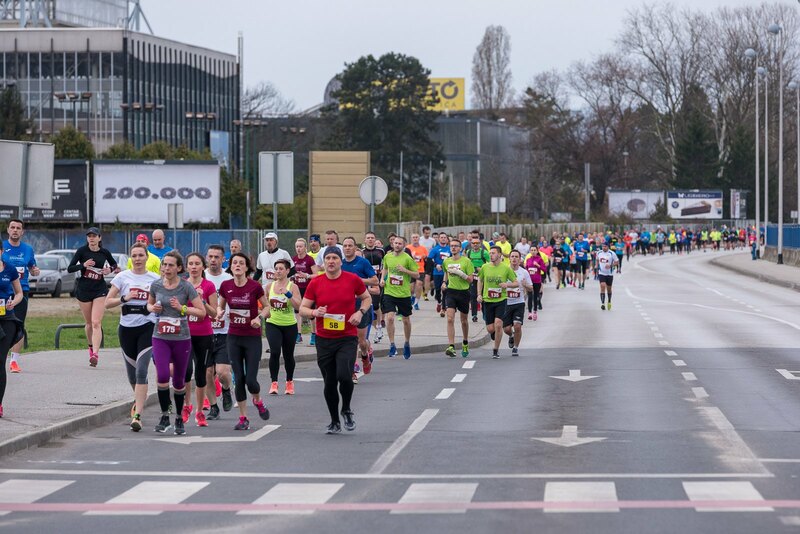 The race is held on Sunday morning of the third weekend in March. The start and the finish are in the same place – in front of the National and University Library. The route consists of two laps, and there are volunteers along the route that show you the way. Except for the half marathon, you can run a 5 K race or a relay half marathon in a team of four. 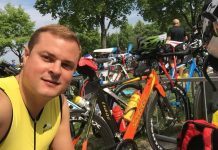 Registrations are opened – here, and all the information about race you can find on the race webpage. For those runners in relay teams whose legs don’t start at the start/finish area, there is a bus that drives them to the start of their leg. 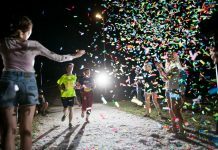 The staring package includes the bib, refreshment points, t-shirt, shoe bag and meal after the race, and all half marathon finishers will receive finisher medal. Collection of starting packages is being held in the National Library on the race morning. The regular starting fee is only 20 Euros, and the prizes for the fastest are nice. Spring in Zagreb is sometimes tricky, so make sure to take various clothes with you. One year the weather for this race was sunny, and another year it was raining – classical springtime – so it’s good to be prepared for every scenario. Zagreb is well connected to most European and world major cities. You can come by car, plane, train, and bus. Zagreb Airport is located outside the city, but there are both shuttle bus and public transportation bus that drive to and from the airport. Central bus station and central train station are in the city center and well connected to all parts of the city via public transportation. Public transportation in Zagreb is great. Big network of trams and buses covers the whole city. Tickets are cheap – 0.5 Euros for a 30-minutes-worth ticket and 1 Euro for a 60-minutes-worth ticket. Tram lines that drive near the start of the race are lines no. 3, 5 and 13 (exit at the station called Lisinski) and there is a dozen of bus lines that drive there – see map (exit again at the station called Lisinski). Except for trams and buses, there are also taxies, rent-a-car, and rent-a-bike services. Accommodation offer is rich. You can choose between hotels, hostels, B&Bs, private rooms and apartments, and even mountain huts. The mountain on which huts are located is ►Medvednica, small green mountain and favorite weekend-escape place for almost every citizen of Zagreb. Medvednica is also well connected to the city via public transportation. Zagreb is a Central European city that has much to offer. 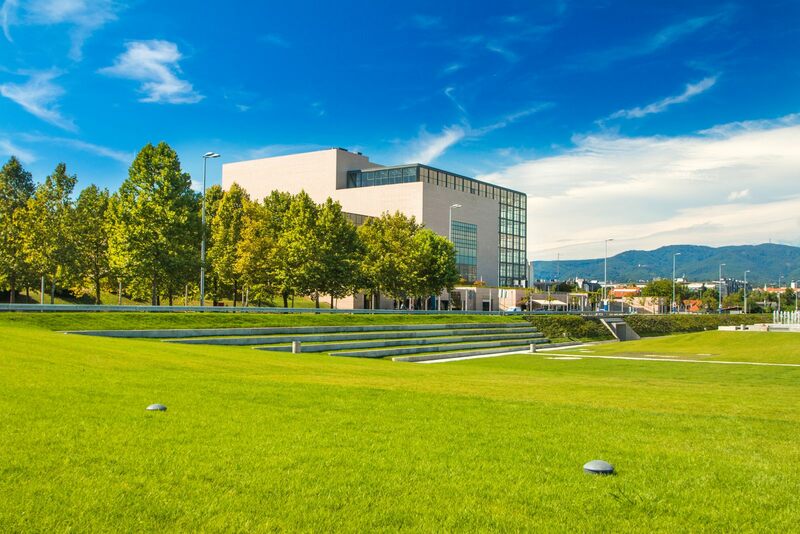 Whether it’s the mix of Austro-Hungarian and Socialist architecture, many unique museums and galleries, beautiful parks and lots of restaurants and clubs to choose from – it never gets boring there. 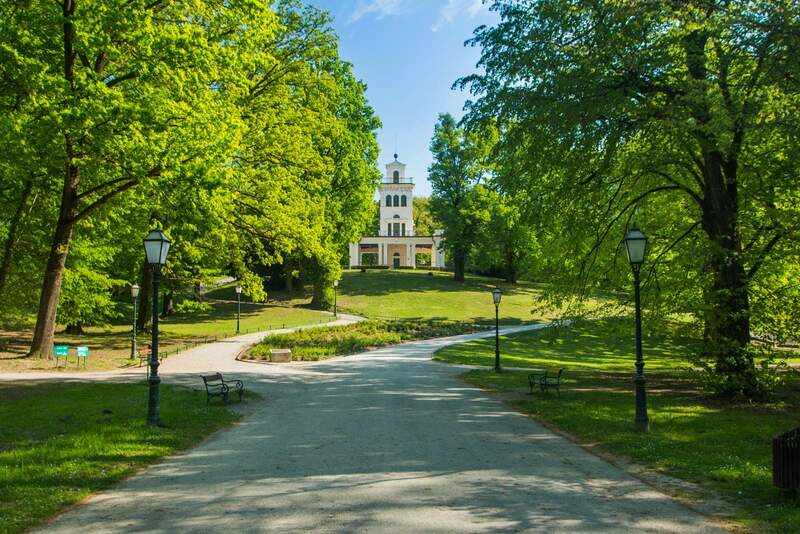 Spring is the time when temperatures are ideal – not too low and not too high – and the numerous city parks make the whole city look lush, fresh and green. It’s the time of the year when you can enjoy many outdoor activities or simply enjoy the coffee in the sun. You should surely visit the main city square – ►Trg bana Josipa Jelačića. It’s very well connected by public transport to the other city areas, so it is easy reachable no matter where you’re staying at. 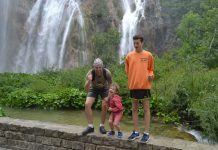 Check out the Ban Josip Jelačić statue as well as the fountain. While on the square you can climb up the Observation Deck ‘Zagreb Eye’ and take the greatest panoramic view of the city while enjoying the cup of the coffee. Then you can take the Funicular Railway from Tomićeva ulica all the way up to the Old Upper Town. It is the city’s oldest part covered in narrow streets with many famous sights and attractions. 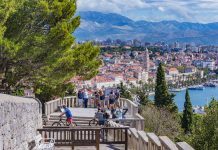 Just after you exit the funicular, you’ll be faced with Lotrščak Tower, where every day at noon, a cannon is fired to commemorate Zagreb’s victory over the Turks. Both placed just near the Upper Town, the two great places to continue your day in Zagreb are the Cathedral and the ►Dolac market. 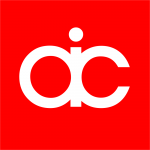 Dolac is an excellent place to buy some fresh fruits, delicate flowers, and many Croatian products and souvenirs. And then you can make a small lunch break in ►Tkalča – the best street to relax, enjoy some drinks and delicious food. There are numerous restaurants, bars, and pubs to choose from. 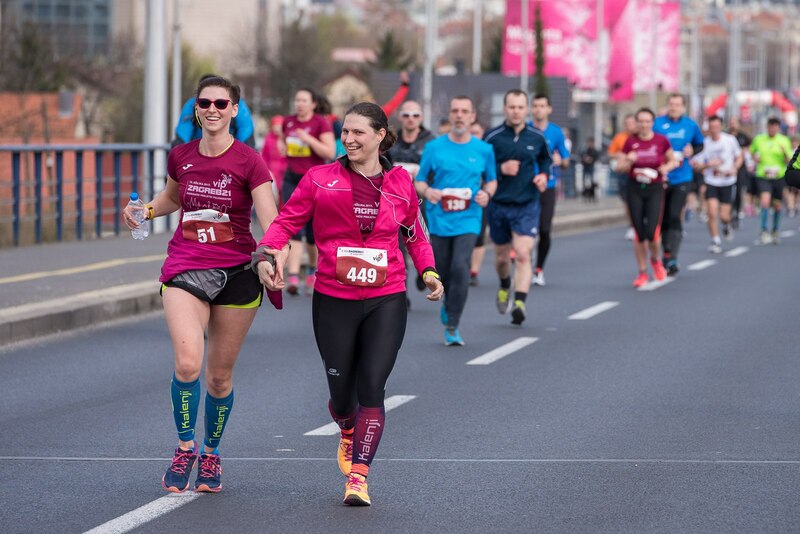 And if the race itself won’t be enough of running for you, there are ►Maksimir Forest Park and ►Jarun Lake to explore while doing what you like the most – running. You will surely enjoy it!